A brand new species of Pokémon has been unveiled in Japan, following the release of a new teaser trailer for Pokémon The Movie: Everyone’s Story, which is set to release in the country on 13th July 2018. Zeraora is a brand new Electric-type “Mythical” Pokémon, originally found by dataminers in the code for Nintendo 3DS games Pokémon Ultra Sun and Ultra Moon, which were released worldwide last November. Following on from last year’s Pokémon the Movie: I Choose You (on DVD now courtesy of Manga UK), the new film is a co-production between franchise regulars OLM Inc and WIT Studio (Attack On Titan). Tetsu Yajima (Pokémon The Series: XY) is directing, with a script by Eiji Umehara (Re:ZERO -Starting Life in Another World-) and Aya Takaha (The Ancient Magus’ Bride). Pokémon the Movie: I Choose You director Kunihiko Yuyama will be assisting the film as Animation Supervisor, with Character Designs by Shizue Kaneko (Pan de Peace!). Credit to Serebii for the cast notes. 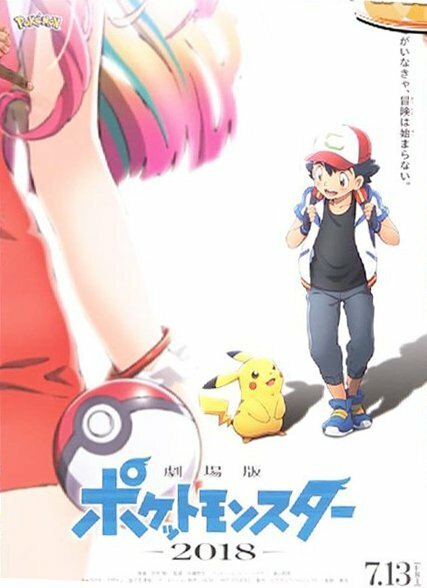 After last year’s incredibly successful Pokémon the Movie: I Choose You, the next film in the rebooted anime film series has some big shoes to fill – but could Pokémon the Movie: The Power of Us be the best yet? Read more! Pokémon the Movie: Everyone’s Story has just opened in Japan today and keeping with franchise tradition, it includes a tease for next year’s anime movie – featuring a long-time fan favourite! Pokémon the Movie: The Power of Us is headed to selected cinemas in the United Kingdom later this year, The Pokémon Company International and Fathom Events confirm! Japanese variety show Oha Suta has broadcast the first teaser trailer for the tentatively titled Pokémon The Movie 2018. Seemingly continuing the story of I Choose You, the film opens in Japanese cinemas next July. Manga Entertainment UK confirms hard of hearing subtitles for their upcoming home entertainment release of Pokémon The Movie: I Choose You.